The Rebels are stoked to have our Converse In Their Chucks VR Project as a finalist in the category of UX for Emerging Experiences at the Vancouver UX Awards 2016! The Vancouver UX Awards nomination was judged based on five unique criteria – joy, clarity, impact, elegance and innovation, as well as consideration on how our app creates a new experience for user interaction. Converse Chuck Taylor All-star shoes are known for their iconic silhouettes and are associated with individuality and self-expression. 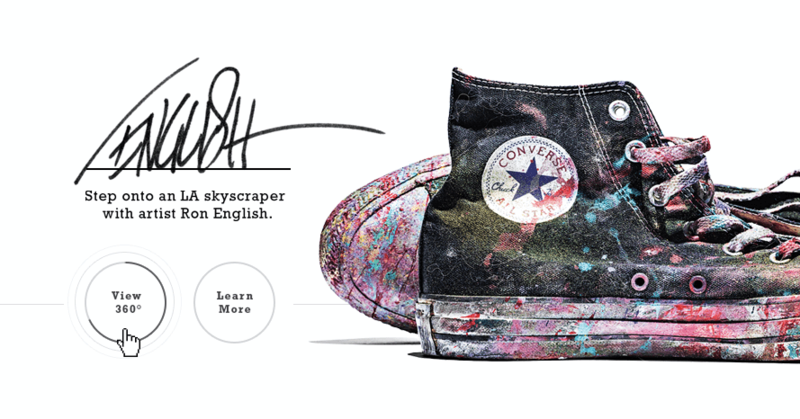 Our app celebrates creativity and uniqueness of the Converse wearer by allowing them to be fully immersive in the environments of four different Converse personalities, from a Zombie film extra to a psychedelic rock musician. We made it fully compatible with Google Cardboard to allow users to feel and discover breathtaking new worlds and experiences. Seamlessly compatible with both Android and iOS systems, it is fully accessible and available for download on the Apple App store as well as on Google Play. Idea Rebel is proud to be attending the Awards Gala on November 16th, 2016 at the Imperial Vancouver on 319 Main St. Stay tuned for the final awards announcements afterwards!